Hammond, Indiana – Trademark attorneys for Plaintiff Indiana Botanic Gardens, Inc. of Hobart, Indiana sued Defendant Snyder Manufacturing Corporation of Long Beach, California, which does business as Eurospa Aromatics and Eurospa Chemicals, alleging trademark infringement and related causes of action. At issue in the lawsuit is U.S. Trademark Registration No. 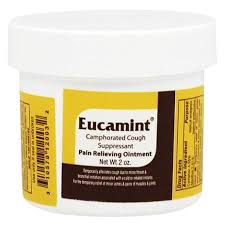 1,327,965 for the trademark EUCAMINT for camphorated ointment. Plaintiff states that it owns this registration, which was issued April 2, 1985. It also states that the mark was first used in commerce in 1925. Plaintiff contends that Defendant’s use of EUCAMINT to market an aromatic shower mist infringes its trademark. Plaintiff Indiana Botanic Gardens claims that Defendant Snyder Manufacturing acted intentionally and willfully in an attempt to trade upon the goodwill of the EUCAMINT trademark. Plaintiff asks that the court order the payment of damages, including punitive damages. It also seeks equitable relief, costs and attorneys’ fees. This case has been assigned to District Judge Jon E. DeGuilio and Magistrate Judge Paul R. Cherry in the Northern District of Indiana, and assigned Case No. 2:16-cv-00197-JD-PRC.